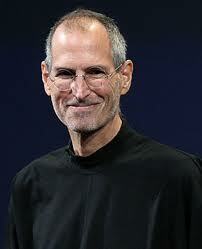 Steve Jobs was announced dead today October 5, 2011 by Apple, Inc. He was 56. Jobs suffered a number of serious health issues over the last couple of years. In 2004, he announced he had form of pancreatic cancer … and had a tumor successfully removed from his pancreas later that year. Earlier this year he resigned from his position as CEO of Apple, Inc. He is gone from this world but his work will be remembered by all of us who have admired him for his great vision and creativity, rest in peace Steve. Read people’s thoughts about this news on Twitter. ← Bank of America Website Still Down – Cyber Attack?